BM Engineering has been supplying distilling equipment to businesses in the Scottish Highlands for over 40 years. Highland distilleries are home to some of Scotland’s finest scotch whiskies, so the demand for quality valves and instrumentation is high. BM Engineering is proud to serve whiskey distilleries throughout Scotland, in particular the beautiful Scottish Highlands. Our products are carefully selected from only the very best brands in the distilling sector and are delivered to highland distilleries on a next day basis. BME is the Zwick valve distributor for the distilling industry in the UK. We introduced the Zwick Tri-Block double block & bleed valve into the distilling sector in 2012, where it quickly became popular with many whisky distilleries in Scotland. Demand for this item has remained high ever since and we have now become trusted Zwick valve distributors for many highland distilleries. We have an extensive catalogue of distilling equipment available to us from brands such as ADCA, NTC, Orbinox and Unitech. Brands that our customers have trusted for many years. BM Engineering is proud to serve the distilling sector in the Scottish Highlands. We supply, manage and deliver distilling equipment to businesses in Inverness, Dundee and Perth. We also supply valves and instrumentation to businesses in the wider sectors of brewing, food and beverage, dairy and pharmaceutical. Our valve supply services are tailored to various niche industries and our products are carefully selected to suit each one. BME has been an approved partner of Bürkert for many years. 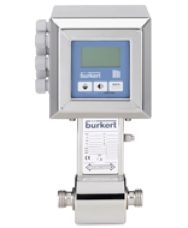 Automation solutions from Bürkert include the Type 8640 valve, which has been used across the dairy industry in Scotland for decades. We also supply Bürkert products for use in the renewable energy sector, including ball valves, knife gate valves and v-ball control valves. Our process automation services in the Scottish Highlands are engineered to suit various business types. BME is proud to work alongside prestigious brands in the supply of distilling equipment and automation solutions. We are able to supply high quality products and equipment from trusted names, such as Bürkert, Valsteam ADCA, Inoxpa, Leengate Valves, Orbinox, Max Air Technology, Untitech SRL and Zwich Armaturen. Over the years, we have built really strong relationships with our partners that allow us to bring you the very best engineering equipment at the best prices. This is one of the reasons BM Engineering has become such a trusted supplier of distilling equipment and process automation solutions in the Scottish Highlands. If you’re looking for distilling equipment for businesses in the Scottish Highlands, contact BME today.